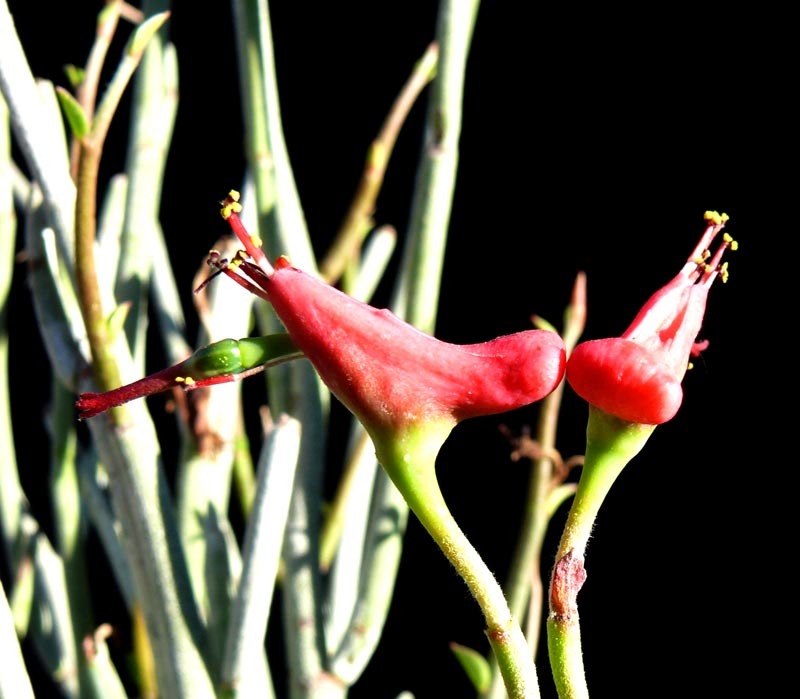 Short grey waxy stems with bright red slipper-shaped flowers. Loose mounds of vertical stems, will form tiny leaves at the tips that drop off quickly. 1ft tall x 2ft wide. Can handle heat.